Which piece of clothing, no matter how tattered or dated, are you loathe to part with because it means so much to you? That’s the question Emily Spivack asked Piper Kerman of “Orange Is the New Black” fame, chef Marcus Samuelsson, singer Rosanne Cash, filmmaker Albert Maysles, designer Cynthia Rowley, and about 50 other men and women. The one-page mini-memoirs, accompanied by a photograph of the piece of clothing, are intensely personal and yet universal. 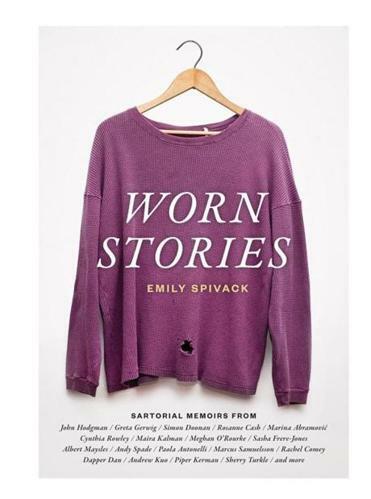 Initially I skipped around in “Worn Stories” (Princeton Architectural) until I realized I didn’t want to miss a single story and read it straight through. Correction: An earlier version of this story misspelled Emily Spivack’s name.